Find hotel near Museum Of Paper Or Museo .. Housed in an ancient paper mill, it was founded in 1970s by Nicola Milano. 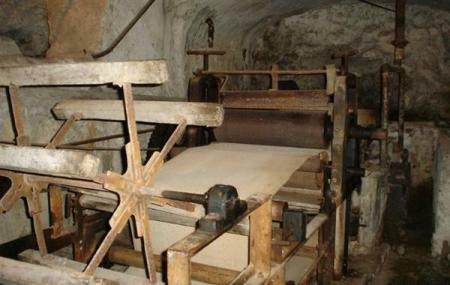 The museum has on display machinery used in olden times to make handmade paper. Museum also has a collection of photographs and books on various techniques used earlier. With the instruments and machinery well preserved, visitors also get a chance to see as to how the paper was derived earlier. Can be easily explored on foot. How popular is Museum Of Paper Or Museo Della Carta? People normally club together Villa Cimbrone Gardens and Villa Rufolo while planning their visit to Museum Of Paper Or Museo Della Carta.